Started by Sisters. Serving the world. 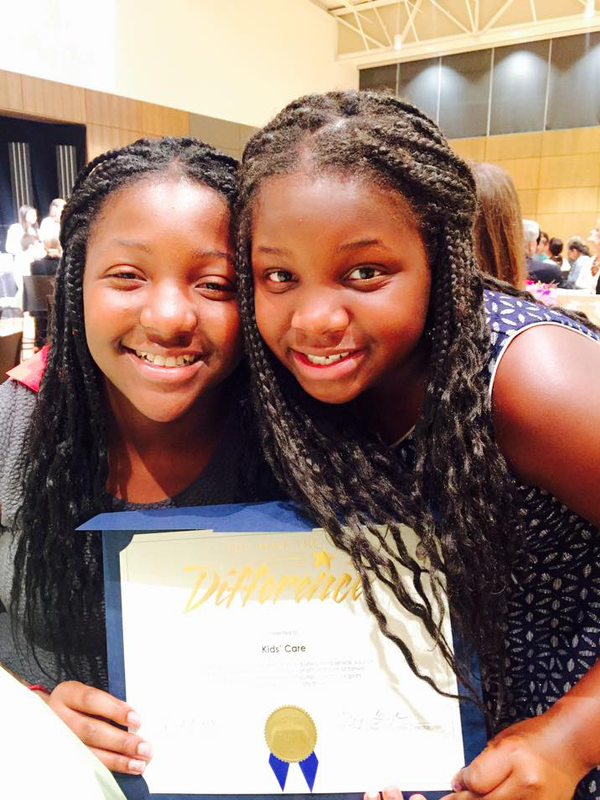 Kelsey & Cambel's Kids' Care, Inc. is a non-profit founded on December 14, 2012 by two little girls - sisters to be exact - to encourage kids to get involved by supporting others, bringing forth awareness, and contributing to their communities and beyond. In 2012 after the deadly mas shooting at Sandy Hook Elementary, two little sisters - ages six and eight - felt compelled to do something. They engaged in a well thought-out discussion while riding in the back seat of my truck. Although they couldn’t comprehend all of the devastation, they decided that they would ask their friends to write letters to the families whose children died in Newtown. They felt that their voices needed to be heard, and that adults should know that children care, too. They decided to name their organization Kids’ Care. With that big decision made, Kelsey & Cambel’s (KC) Kids’ Care, Inc. was founded. Ever since, those sisters - with the support and participation of friends of all ages and the wider community - have shared Compassion in Action throughout the United States and globally. 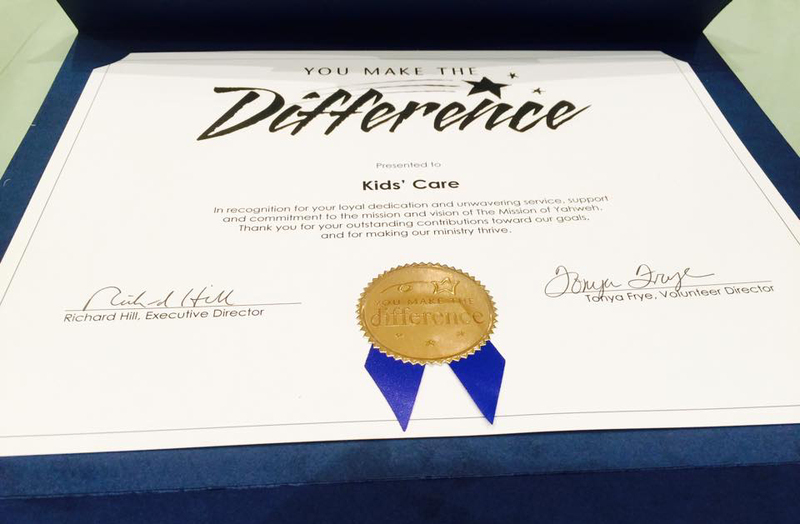 On September 24, 2015, KC Kids' Care, Inc. was recognized at The Dorcas Awards for The Mission of Yahweh. They were honored for their volunteer service to the homeless shelter, which has served women and children since 1961. This kids' non-profit was started by kids for kids, but... we have wonderful support from adult-run businesses. You help our initiatives succeed, and enhance the lives of countless men, women, and children. WE APPRECIATE YOU! Twelve Days of Christmas, Inc.
& Family, friends, neighbors and the community!